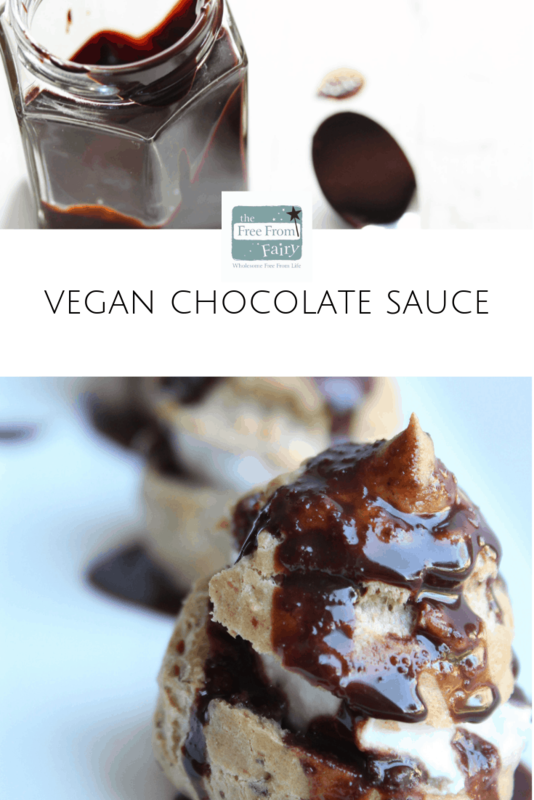 Vegan Chocolate Sauce (Dairy Free, Refined Sugar Free) | The Free From Fairy. 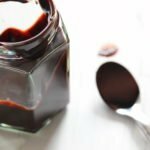 This vegan chocolate sauce is so simple to make. If you eat dairy you can also make it with dairy products. 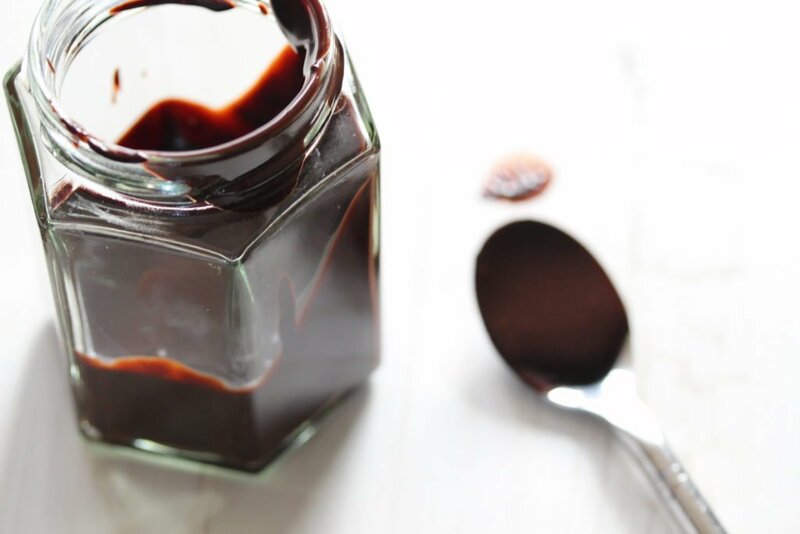 I’ve made this recipe for chocolate sauce for many moons. It was something that mum used to make for me when I was a kid. And when I was at University I’d make it when I needed a chocolate fix. For some reason, in recent years, I’ve forgotten about it. However, in a cookery demo that I did last night, I was making gluten free choux pastry. You can find the recipe for that in my pastry ebook here. It occurred to me that profiteroles would probably go down well with the audience and so the sauce was resurrected. 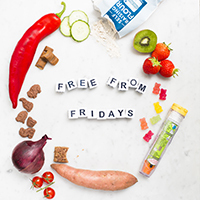 It is so simple to make with ingredients that you’re sure to have in your cupboards. If you eat dairy you could make this with butter and cows milk in place of the margarine and almond milk. 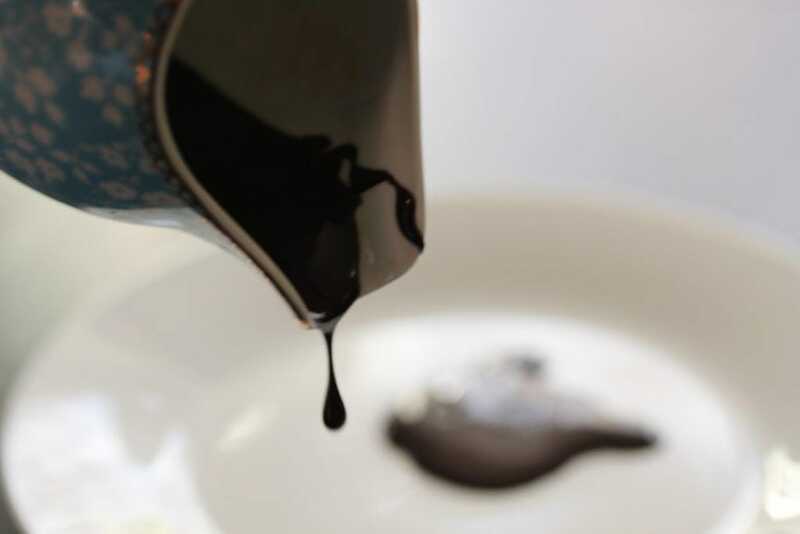 It’s perfect for pancakes and with pancake day around the corner what better way to use it? 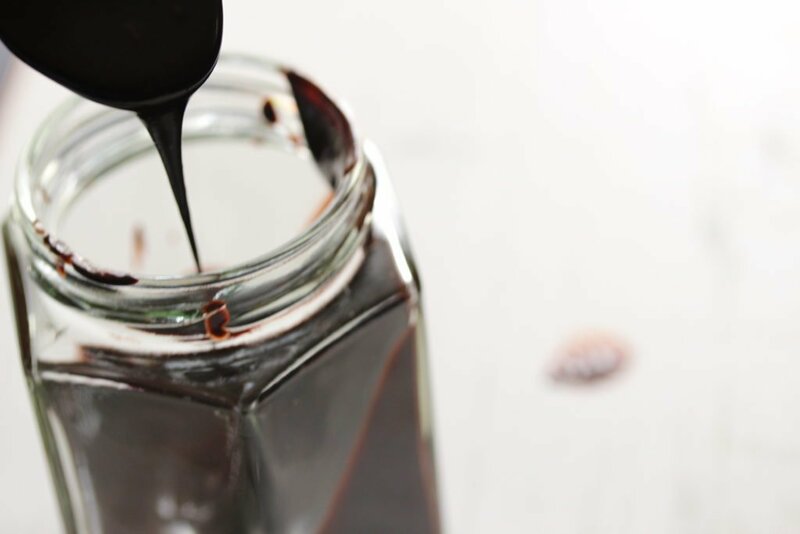 Alternatively you could pour over ice cream, drizzle on banana or pear or eat it from the jar (I won’t judge you)! Thanks for your greate recipe!! Do let me know when you try it and don’t blame me if you eat it all at once!